This is part four of a series I have been doing on Greg Boyd’s Crucifixion of the Warrior God. Here are links to the other parts: Part1, Part2, Part3. Greg has also responded to these. Volume I of Greg’s book lays out the foundation of his “Cruciform Hermeneutic,” and Volume II proposes how to apply that hermeneutic in a four-part “Cruciform Thesis.” The first part of Greg’s four part thesis is the principle of Cruciform Accommodation, which I discussed in my previous post. I noted there that I saw some issues with how Greg is understanding the cross that I did not really unpack there. My aim is to address that in this post now, focusing on the second part of Greg’s thesis, which he terms Redemptive Withdrawal. The Principle of Redemptive Withdrawal is grounded in an understanding of the cross where “the Son bore the judgment of the sin we deserved” (768). This reflects a penal substitutionary understanding of the cross, the key term here being “penal,” meaning punishment. I should note that Greg does not like the term penal substitution, and does make a point of stating that he rejects the popular form of this doctrine where “the Father had to vent his wrath against sin in order to embrace sinners” (796), arguing instead that “God’s punishments are always redemptive in intent” (785). In other words, he still holds to an understanding of the atonement rooted in punitive justice (the idea that things are made right through violent punishment), but sees the intent of the violence as restorative (or as Greg calls it, "redemptive"), rather than as retributive. I'll return to the idea of violence being “restorative” later, but for now let's simply focus on the notion of the cross being understood in terms of punitive justice, and what this understanding looks like when it is applied as the lens to interpret OT passages which view natural disasters, genocide, and cannibalism as acts of God's judgment. Despite having earlier declared such depictions to be “sinful” and false representations of God, using this punitive understanding of the cross Greg now declares that a cruciform reading of these violent accounts does see them as ultimately good and just. For example, speaking of the biblical flood, he states, “this flood reflects a genuine judgment of God. The only thing that conflicts with God’s revelation on the cross is the manner in which this author ascribes the violence in the judgment directly to God” (526). “God decided, with a grieving heart, to withdraw his protective presence... Reflecting the same Aikido-like strategy that was employed on the cross, God would now use the evil of the Israelite’s disobedient reliance on the sword to punish the evil of the Canaanites wickedness and idolatry” (982). Note that Greg refers to using other agents (in this case humans) to carry out God’s violent judgment in the form of genocide as “Aikido-like” here. What does he mean by this? Greg clarifies that while Aikido practitioners have the goal “of bringing as little harm to their opponent as possible” this minimizing of harm is apparently not something that God is concerned with. Greg explains, in contrast to these Aikido practitioners, “God is not adverse to allowing evil-doers to suffer the full destructive consequences of their own sin.” He further clarifies “The point of the Aikido analogy is that God himself never needs to actively engage in violence” (769, n6). At this point one may be wondering how any of this can possibly be seen as congruent with the nonviolent understanding of God that Boyd laid out so carefully as the foundation of his Cruciform Hermeneutic throughout volume I of this work. Greg explains that based on his understanding of the cross as an act of divine punishment, “it becomes evident that not only can a nonviolent God judge sin, but the ‘wrath’ of this nonviolent God against sin is no less severe than it would be if God did engage in violence. It is just that whatever violence is involved... is carried out by created agents” (782). What we can observe here is that when a cruciform reading is shaped by a punitive understanding of the cross, the result is to affirm the most extreme violence (global flood, genocide) as being just and good judgments. The resulting “nonviolent” God is therefore just as violent as the warrior god. The only substantive difference is that Greg apparently believes that God is absolved from any moral responsibility by not directly committing the violence entailed in these acts of divine judgment. As he puts it, “the distinction between what God does and what he merely allows removes culpability from God” (720, n29). I disagree. Mob bosses and war lords commonly have people assassinated and slaughtered without directly participating in the killing. We would certainly not consider them innocent. Anticipating this type of objection, Boyd imagines that someone might compare these “indirect” judgments of God to a person unleashing “a rabid pit bull” on someone (902). That person would be responsible for the harm inflicted by the dog, even though they were not personally involved in the attack. Likewise, “if God unleashed violent nations for the purpose of having them afflict another nation, one could argue that he is responsible for the suffering that the violent nation brings about” (902). Acknowledging that this is a “formidable objection,” Greg offers a four-point response. First, he argues, since sin is a matter of “pushing God away,” God’s withdrawal must be seen as “a decision to give people what they want” (903), and one does not ask to be attacked by the pit bull. The second point Greg makes is “this is what they deserve” (903) so it is a just punishment (think genocide as you read that). Third, God inflicts his violent judgments “in the hope that their suffering will teach them what God’s mercy will not” (904), although in the context of God’s judgment consisting of the “slaughter of entire populations” (983) it’s hard to imagine how that teaching moment is supposed to work exactly when they are all dead. Forth, he argues that “since God’s very being is unsurpassable love, the pain he experiences when people are afflicted, even when they deserve it, is unfathomably greater than the pain experienced by others who love these people, or by the people themselves” (904). So in sum: (1) You asked for it. (2) You had it coming. (3) This will teach you, and (4) This hurts me more that it hurts you. While this may sound like some people’s fathers, it sounds nothing like the one to whom Jesus prayed “Our Father who art in heaven.” Note, too, that all of these points involve arguing that the violence is justified, and none address whatsoever the issue of moral responsibility. The analogy of the pit bull is apt because, as Greg notes, the nations in their blood lust often went overboard in their violence, much like a “rabid pit bull” is completely out of control once you “withdraw” your hand from its leash. Far from being absolved from responsibility, I think it is pretty clear that were a parent to unleash a rabid pit bull on a disobedient child, this would be morally exponentially worse than it would be for them to beat the child with their own hand (which is of course also bad). So I must reject this concept of “withdrawal” as a means of avoiding responsibility. It simply does not hold water. God is morally responsible for what God does, whether directly or indirectly, just as we are. You've heard it said, “God can’t be where there is sin,” but I say in Christ crucified we see that this is exactly where God is, and where God has always been. ‘If after all this you will not listen to me, I will punish you for your sins seven times over… I will send wild animals against you, and they will rob you of your children, destroy your cattle and make you so few in number that your roads will be deserted. If in spite of these things you do not accept my correction but continue to be hostile toward me, I will send a plague among you, and you will be given into enemy hands. While he does mention certain “aspects of these judgments to reflect the pre-Christian perspective of the author,” mentioning cannibalism specifically as an example, Greg nevertheless declares, “I believe the motivation this passage ascribes to God... is a direct revelation. For what drives the escalating judgment is God’s hope to restore his people” (791). I do not doubt that this was the ancient author’s motivation behind these threats of horrifying violence. However, we should seriously question the notion that inflicting violent physical harm and emotional trauma is “redemptive” in any way. Greg is certainly correct that these stories reflect the “pre-Christian perspective of the author” in regards to cannibalism, but he is apparently missing that it also reflects the ancient perspective of people who commonly practiced what we would today regard as criminal child abuse, seeing this violence as redemptive. As William Webb has outlined in his study of corporal punishment and the Bible, the Old Testament calls for striking a child with a whip or rod on the back or sides. Because this is where the internal organs are located, this would likely result in internal bleeding as well as welts and bruises. While leaving such marks on a child’s body would be legal grounds for charges of child abuse today, people at the time believed that inflicting such wounds was healing and redemptive. As Proverbs puts it, “Blows and wounds scrub away evil, and beatings purge the inmost being” (Prov 20:30). This reflects the common understanding of people at the time, and here this abusive understanding is being projected onto God unknowingly by this biblical author. They did not know any better. We, however, living in the 21st century, really should. Precisely. We will not find God behind the violent judgments portrayed in the Old Testament. These reflect the image of a punitive warrior god. If we want to find Christ in these passages, we must look for the victims, the scapegoats in these texts. That is where you will find Christ crucified, deeply buried. What began as a project to interpret Scripture through a cruciform lens is undermined by a punitive understanding of the cross. This is not a Girardian view of the atonement which seeks to unmask sacred violence, rather the principle of Redemptive Withdrawal makes the case for sacred violence. The principle of Redemptive Withdrawal is quite literally a perpetuation of what Walter Wink called the myth of redemptive violence. At the root of all of this is an understanding of the cross based on punitive justice. As we have seen here, this leads to calling horrific violence just and restorative. What is needed is a non-punitive understanding of the cross resulting in a truly nonviolent cruciform hermeneutic. I have attempted to work out such a non-punitive understanding of the cross in my book Healing the Gospel. In the end, there is simply no room for violence in the economy of God. But I do not need to appeal here to Wink or Girard to make this claim. I can look directly to the work of Greg Boyd, and in fact I can look to this very work, volume I. “The indiscriminate love and unconditional nonviolence reflects the essence of who God is, and thus reflects the character of all God does. God can therefore no more act violently than God can lie or deny himself” (226). “If we understand God completely in light of what happened on the cross... we can only conclude it is contrary to God’s very nature to engage in violence.” (225). That means that we can look at God's actions and have them model how we should act. 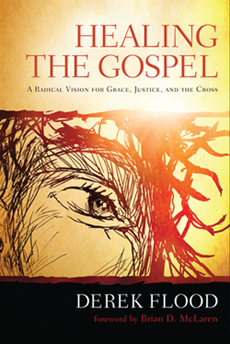 “On the cross, Jesus fully displayed God’s self-sacrificial, enemy-embracing, nonviolent character, and the church is called and empowered to embody this same character” (205). To understand God correctly is to understand that God looks like Jesus. If we have seen Jesus, we have seen the Father. Both are equally examples of enemy love. So when we see images of a god who punishes—even if this is done with “redemptive intent”—we must recognize that this is not a cruciform Jesus-shaped understanding of God, and must therefore be repudiated as the false warrior god, a god made in our own image. In the cross we see that God does not overcome evil with evil, God overcomes evil with good. In conclusion, let me stress that the issues I have laid out here have to do with the specific punitive understanding of the cross that Greg set forth with his principle of Redemptive Withdrawal. As I have outlined here, I see severe problems with that principle and believe it should be abandoned. However, I very much agree with the idea of reading all of Scripture through a cruciform lens. On a personal note, Greg had wondered in his response to my reviews whether I was upset with him for his criticism of my work which he laid out in chapter 8 of his book. Greg, let me assure you that I am not. On the contrary, I appreciate you pushing me to not stop at repudiation of these violent portraits, but to go further from there, digging deeper to find Christ. I hear you, and I believe your principle of Cruciform Accommodation is a viable approach to doing this, so long as it is disentangled from a punitive understanding of the cross. I hope that what I have said here can be taken constructively, and ultimately serve to strengthen Greg's wider project of reading all of Scripture with cruciform eyes. Typo: Pro 20:30 for Pro 23:30, I think. Good catch Don, thanks. I corrected it. Hello Derek, I have similar concerns about Boyd’s “Principle of Redemptive Withdrawal.” T thought my critique would add to the conversation. The biblical authors were noting their experience and plugging God in the theological equation, which is something you admit can and does occur. An event could “feel” like Divine withdrawal, or Divine wrath or Divine punishment. Therefore, it is perceived and assumed God must be unilaterally, actively and intentionally withdrawing, wrathful, or punishing toward me (or us as a nation). There are hundreds of passages that assume that is the case. But are their assumptions warranted? You make great strides to piece out when God is doing something and when other actors are carrying out judgments, which is a good start. But let’s stick with your notion of withdrawal. At this point, I can only hear crickets chirping. Any attempt to say what God would have done if he didn’t withdraw his protection would require a unilateral and coercive act. But we both agree, that is not how God works in the world. Why do the consequences of evil acts by sinful people automatically equate to God withdrawing? Or why do we equate natural consequences with “God’s wrath?” You write, “This “wrath” began to be poured out when God withdrew his protection and did not “spare his own Son” but “gave him up for us all.” As a way to preserve God’s loving, uncontrolling nature, I would rather avoid terms like “withdrawing” and “wrath” as somehow being equated with God’s active, intentional, and volitionally choices. It seems that “withdrawing his protective hand” is code for “God couldn’t do anything about it.” Humans engaging in mimetic rage pushed God out of the picture, precisely because God cannot control other people. Therefore, it is not that God withdrew, it is that God could not stop the torture and death of Jesus. I have the same problem with Boyd’s occasional usage of the term “accommodating,” (another code for God did nothing”), particularly when a biblical writer quotes God and basically made up the violent words God spoke. Back to the topic of wrath though. It was not God’s wrath that Jesus experienced. It is not that God withdrew his protective hand from Jesus. Since God is uncontrolling love, there was nothing God could do to protect Jesus. God couldn’t control or coerce savages from wanting to crucify him, or anyone else for that matter. God withdrawing mars the loving character of God, precisely because it makes God out to be someone who intentionally chooses to leave the scene so that evil has its way. Why not let consequences be natural consequences, without automatically linking them to God’s actions? I am open to suggesting God can be ignored, grieved, pushed away, or rebelled against, but that is not the same as saying, “God withdrew.” If you are standing close to someone you love while facing them, and they push you away, is it accurate to say you withdrew? No, you were pushed. Redemption and withdrawal should not be bedfellows when it comes to explaining how God works in the world in the face of sin. It adds to a distorted view of God, even if it has good intentions. Withdrawing is what people do in the face of sinful behaviors directed towards them, such as slights, dishonor and disrespect (many times, understandably so). Perhaps, I am a hopeless romantic who believes the Lover God pursues and moves toward the beloved no matter what. Each moment is a new occasion for God to move toward all of us sinners/saints, whispering “Are you now ready for my love, mercy, and forgiveness?” Each moment, a person no matter how sinful could say, “Yes,” or “No” to that Divine lure. Does God grieve when we sin? Sure. Does God move away or withdraw? Not the Prodigal God Jesus showed us and told us about. I have a grudge against my former doctor… As I emerged from my Mother’s womb he humiliated me with his superior strength by holding me upside down by my feet. To add injury to insult, he then violently smacked me on my behind. It hurt! So much so that it made me cry and gasp for air as I shuddered in pain. I can never overlook this act of violence, it is totally unacceptable. Recently I was the victim of violence from another doctor. He performed the tortuous act of surgery on me by violently cutting into my flesh. It still hurts weeks later, I’m still in recovery from this barbaric act. Though some may call it creative or restorative, there is absolutely no purpose or excuse for such atrocious acts of violence. I also have a grudge against God. How is it that he placed me in such a violent world? When I view his creation I see so much violence, animals killing one another, hyenas eating zebras even before they’re dead. I missed the warning at the beginning of the nature show which said scenes could be disturbing to some viewers, but this does not absolve the producers for allowing such violence to appear on my TV, they are still to blame. This violence goes beyond mere survival. I had to witness my cat take joy in playing with and torturing a baby rabbit he had caught. He intentionally kept it alive to sadistically prolong his amusement while inflicting continuous pain and trauma on the poor critter while it squealed in agony. It’s just so repulsive, I’m emotionally traumatized beyond repair. How could a loving God put me in such an evil, violent world? Finally, not only do I stand in judgment of God for what he has done, I stand in judgment for what he has not done. Why does he just let things happen? Why does all this violence continue? Why has he withdrawn from his own creation? I prayed for protection on his children when they took the bus to Bible Camp, but there was an accident, the bus crashed, innocent children died, some were grotesquely injured for life. Beyond a doubt, there is no reasoning around or justifying God for having placed us in such a violent world, and for his withdrawal in the face of ongoing violence. How can this be? Mark Twain in spiritual satire. Thanks for spelling this out so clearly, Derek. I think you've identified and delineated the core weakness in CWG. Moreover, I'm fairly convinced that the reason for the inconsistency between Greg's stated commitment to a nonviolent doctrine of God and his penal view of God's justice arises from his pre-commitment to a strong model of inspiration and infallibility. Can you unpack that a bit more Rob? It just seems to me like one of the main things Greg is aiming for with his overall hermeneutic (call it his primary critical success factor, if you like) is to be able to say "See: the Bible is not self-contradictory after all! You just have to dig deep enough and you'll find that it's all beautifully consistent!" So some of the theological moves he makes (e.g. Redemptive Withdrawal) are conditioned by this overarching goal: he *has* to make them in order to be able to uphold inspiration and infallibility as he understands them. To put it another way, his real underlying hermeneutic is not the cruciform one he lays out in CWG; rather, it's his preconceptions about inspiration and infallibility. Yes, there are many issues that would be good to come back to. Inspiration/infallibility is one. Cruciform Accommodation is another. Abandonment and the im/passibility of God is yet another. I thought through all of these, and determined that the central issue that needs to be addressed before all of these others can is the atonement. One factor is that all of these other issues can get very tangled and complicated--with all the changing definitions of words, and formulations packed with technical jargon--which is unfortunately one of the sink-holes of systematic theology (which is what I majored in, so I know this problem all too well in my own work and have spend a long time trying to untie the knots I can get myself into). Probably the biggest reason however is that we can see rather plainly in CWG how the view of the cross espoused as punitive affects how OT violence is understood as divine judgement resulting in calling that violence justice. The more I thought about all of these issues (including inspiration/infallibility) the more I became convinced that we need to figure out the view of the cross first before we can get to anything else. Otherwise I think we will just end up going around and around in circles with them. I certainly think you're right to hone in on the view of the cross as the place to start, Derek. I agree that it does in some sense come down to a commitment to inspiration and infallibility, but it may also be determined on how those terms are defined. For example jehovas witness use the term salvation but it means something different. Just as Boyd uses the word He'll but also seems to bend toward anihillationism. I would like to know Boyd's definition of the above two terms. Also I have not yet understood the connection between pacifism and open theism amidst so many people, even I too hold to both of those views. Does anyone have any insight on this? Thanks. I think your right about that. Inerrantist tend to take everything in the Old Testament literally and accept every thing attributed to God as so. Yet they all know just how flawed him an beings can be. That fact hasn't changed at all in the last 3500 years. Thanks for the push back Derek. I'll restrict myself to 4 brief comments. 1) You didn't address my all important distinction between "organic" and "forensic" judgments. Your critique seems to assume I advocate the latter, whereas I actually defend the former. 2)In your view, what should God do if he sees that he is simply enabling people to sink deeper into their self-destructive sin by protecting them from the self-destructive consequences of their sin? 3)In CWG I have over 100 pages of biblical material that describes God's judgments as "withdrawing," "hiding his face," etc.... Do you repudiate all of this? Which leads to 4) Do you repudiate the very concept of God judging sin? If not, how, in your view, does God bring this about? Thanks for commenting. Those are interesting questions, but I was actually hoping that you would respond more directly to the main point in my article. Namely, that basing the “cruciform hermeneutic” on an understanding of the cross based on punitive justice leads to calling horrific violence “just” and “restorative” when inflicting physical harm and psychological trauma is clearly not restorative, but would be considered abusive based on our best understanding of mental health and human development. #1 In CWG you refer to the distinction between “intrinsic” and “extrinsic” punishment (here you call them “organic” and “forensic”). The term intrinsic means that it is contained within the thing itself. For example, if Bob touches fire, it is intrinsic to fire that it will burn him. However, if Ted burns Bob with fire as a punishment, this is no longer intrinsic because Ted is causing it to happen. Therefore if God wills something, and then acts (by withdrawing protection) to cause it to happen, that is, by definition, not intrinsic. As soon as will or intention is involved in causing something to happen (whether by omission or commission) it is not intrinsic. Nothing that is caused by someone (including God) can ever be considered intrinsic. That’s just not what the word means. #2 What can God do beside punish sin? How about God acts to restore, reconcile, and make things right? That’s restorative justice and is at the very heart of what God does in Christ to make things right, to save us. I discuss this in detail in my book Healing the Gospel. Understanding Atonement is THE issue. Great review/responses Derek. Thanks for taking the time to work through this. I'm a new fan, and value your perspective. Even if Boyd doesn't accept Campbell's thesis, he fails to contend with the fact that Paul is up to something with the "wrath of God," since that phrase appears only in 1:18 with the 11 subsequent instances of "wrath" appearing without being paired with God. If we take Romans 1:18-32 as Paul challenging the human view of the "wrath of God" instead of the paradigm of it, how much does that alter Boyd's basic argument? Once again, we need to prioritize an anthropological reading of Scripture which helps us to see much of the Bible's theology as simply expressing an immature understanding of God. While I'm commenting here, I'm anticipating that my clearest point of disagreement with Boyd is going to be in Part VI, the Principle of Cosmic Conflict. I've already seen hints of his view. And this is an area where an anthropological reading is crucial: to truly "see Satan fall like lightning from heaven" -- in other words, to see the false transcendence of cosmic powers. The latter are creations of human relationships not created beings. They beg to have an anthropological interpretation to bring them down to earth from heaven, so to speak. I anticipate writing about this on my own blog when I'm finished reading. The idea of wrath is a very problematic one. I would agree with Heschel that the intent of the prophets using the term "wrath" (=rage) is similar to the word "jealousy" in that it is meant to expresses the pathos of God against injustice. However as many feminist theologians have pointed out, that language of rage and jealousy and the violent "punishment" and shaming found throughout the prophets also mirrors a picture of domestic abuse. Of course, writing in the Iron Age, abuse was not something that the prophets were at all aware of. However it was of course just as harmful then as it is now. Today, being aware of the damage of abuse, we rightly have difficulty with speaking of God's violent punitive emotional rage and jealousy. It conveys a picture of emotional immaturity leading to abusive behavior, and not one of goodness or justice. It's interesting that, as you point out, we can see some of this development away from an abusive picture of God in Paul's writing. I think we could say that the development of the concept of the devil itself is a move in that direction. Wrath then becomes something from an external bad-guy agent that we need to be saved from, rather than something God does to us. I think we need to go further today, based on our understanding of mental health and human development, and recognize that punishment, and in particular violent punishment, does not result in reform or growth. People do not develop empathy and moral responsibility when you hurt them. Rather, as Paul says in Romans 2:4 it is not wrath that leads us to repentance, rather it is [God's] kindness that does that. That's why my answer to Greg's 4th question "Do you repudiate the very concept of God judging sin?" was simply "yes." I maintain that the entire idea of punishing as a means to make people good is wrong because it is ineffective, and worse it is in itself harmful. It makes people worse. What I find rather perplexing is that I think we all know that. I doubt any of us abuse our spouses or kids. Yet instead of taking that understanding with us as we read the Bible and saying "hey, wait, wrath and judgement=abuse, that's wrong" we instead try to accept it as good and right. That's really messed up. As I understand the anthropological reading you are endorsing, this would entail recognizing that people back then had these really messed up views of life where they thought abuse was good, and then projected that wrong understanding onto God. Re: consequences -- Herb Montgomery has a good read on "imposed" and "intrinsic" consequences, -- that is, imposed consequences to avoid the more permanent intrinsic ones, with more lasting detrimental effects. This may serve for some in differentiating consequences and types, and God imposing corrective action to save us from the curses of our choices. I would respond that any withdrawal, would be like the Prodigal Son, that is a removal of our part from the influence of God's love, but God remains with us, even as we do not perceive it. Whether it be in deep suffering, or willful rebellion (nearing iniquity). Even as Jesus quotes the start of Ps 22, the ending of it also remains in the same moment, even if one cannot assert it's assurance. And one who suffers the effects of PTSD, I can attest that I feel forsaken, even in the wake of intellectual faith that "He will never leave nor forsake me." The idea of free choice, free will, if it is truly "free", means that God honors our request from his influence/protection, then we will suffer the curses/consequences of our will, even as he suffers with us, and continually attempts to find us, woe us, search our hearts and keep us. But as Greg says, "by influence, not coercion." Roman's one of God's wrath, is God "giving us over" by our free will and choice, to be apart from him, where only suffering and lack of life exists. It is in the absence of Life -- that we begin to perish, slowly at first. I would submit, that without Jesus, no life can exist, God alone is immortal, and at the end, those that choose to be apart from God, will be granted that option, and perish, but to the distress and the tears of their loving Father. But to imagine, that he would keep them alive in permanent torture, as opposed to eternal (irreversible) consequences of lack of Life, is more cruel in the former. Not because God willed it or caused it; but because he allows free will -- the very definition of Love -- he is ultimately responsible. And the effects of those choices will be eternal, even as the suffering of those is not. By His grace, we are not immortal -- thanks be to God. Derek disagrees with the distinction between imposed (forensic) and natural (organic) evils. I've found Boyd's concept and approach very helpful and I can offer a similar concept in explanation and/or alternative: economic theory distinguishes between opportunity cost and historical cost. This is best illustrated for our purpose in the example of money debts: Payment of debts creates historical costs, non-payment of debt can, in a sense, create both costs to the debtor. If the creditor, for example, drags the debtor to court, gives sworn testimony to prove the debt, obtains a judgement against the debtor, and gets the court to authorise the sheriff to use force to seize the debtor's property to satisfy the judgement debt, this is a good example of 'historical' cost. The debtor historically paid the debt. But this was an imposed remedy, a forensic remedy, but a coercive one. This is the kind of remedy Jesus and Paul prohibited in prohibiting dragging before such coercive tribunals, swearing oaths, judging and so on. Consider the alternative: the creditor instead exhorts the debtor to pay by appeal to the debtor's honour, and by pointing out to him the consequences of non-payment: the creditor refuses to provide further credit, and he enlists the social support of two or three witnesses / investigators, he brings the matter before the assembly of the three (each side chooses one adjudicator, together they choose a third) and obtains a judgement in this Christian jurisdiction, and then if the debtor still fails to pay when ordered to pay by the assembly, no one wants to provide any further creditor to the debtor. This loss of access to credit is the opportunity cost of non-payment of debt, and it is this kind of judgement and consequences that Jesus and Paul enjoined us as Christians to use. Another example is Paul's teaching about slavery. Paul has no problem with slavery per se, as it may represent the legitimate debt owed by the slave to the master. The slave owes the master his labour, to work off his debt. But in Eph. 6:9 Paul does prohibit 'threatening' slaves. So, if the slave is lazy and doesn't work, the master can't threaten harm as a means of getting the slave to work harder or better. Necessarily, this makes slavery harmless and gentle, indeed the standard and the goal of all civilised life under Christian law. Judgments are not wrong or prohibited simply because they are forensic, rather it is this kind of judgement that the assembly of the three is to bring to bear upon disputes and delinquents. The problem is not the act of judgement it is the remedy imposed: gentle remedies up to and including ostracism are to be applied if and only if efforts at reconciliation and restoration fail. Such a forensic system is something of a social support and enlistment of community solidarity against the one who does harm. The harm he suffers as a result is limited to the opportunity cost of the loss of benefits commerce in the community brings. This may result in harm as serious as death itself, yet no one wishes him harm, they only wish to avoid the risk of harm from the individual concerned. So, perhaps we ought to stick to the more biblical standard of gentleness rather than making 'forensic' a bad word. "Paul has no problem with slavery per se, as it may represent the legitimate debt owed by the slave to the master." 1. You clarify and say "Oh heavens no! Sorry I miss-communicated. Slavery is clearly categorically and in all cases evil and wrong. It is not at all legitimate under any circumstances." 2. You do think slavery is legitimate in which case we need to go back to square one with your method of biblical interpretation as it is leading you to say that practices that are profoundly inhumane, deeply hurtful, and flat out evil are "legitimate" which is a really messed up way of reading the Bible. The Bible is supposed to lead us to be more loving, not less. That idea is at the core of how Jesus read Scripture. 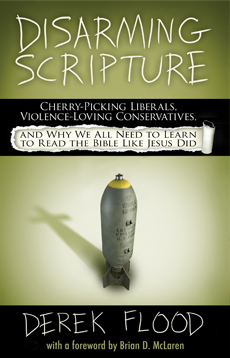 If the way we read it leads us to justify evil, we need to stop right there and do a major reset. What you say about feeling forsaken, but that God never forsakes us really resonates as true with me from my experience as well. Because we are damaged we may feel abandoned even when we are not. We may push love away, even when we need it. We may reach out for things that hurt us (bad relationships, substance abuse, etc). God is love. To reject God is to reject love itself. A person cannot make a rational choice to reject goodness and love because that is not rational. They can only make a damaged and messed up choice to reject love and goodness. As you know, people do that. So what is needed here is for love to heal us so we don't pull away from it. I think that is what God/Jesus is all about doing... healing us so we can be reconciled to love. I don't think it's thus a matter of a choice at all, rather it's a matter of healing us. we can help the best we can with that by loving people around us. People also reject a false and hurtful understanding of God too. In that case they are not rejecting love, rather they are rejecting what they perceive as hurtful and oppressive and bad. They are right to do that. What we can do there is help show them what love really looks like, while at the same time no invalidating their hurtful experiences with Christianity (and there are a lot). Along these lines, watch this video and imagine it being God singing it to you. I think that's how God deals with hell (and the hell in us).